The Walking Dead will soon return to AMC on Sunday, February 10th with the second half of the Third Season and we are anxiously waiting. We are huge fans of The Walking Dead and have followed the comic series from the beginning and are excited to know how popular it has become. With this break in the last few weeks, we have had an empty feeling of no Walking Dead on television. Great news fans! 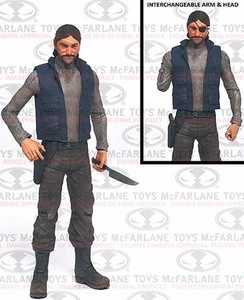 We will be seeing a Series 2 for The Walking Dead Comic Series very soon and with some great additions from McFarlane Toys. The Walking Dead Comic Series 2 figures will be released this June 2013. With the popularity of AMC's The Walking Dead continuing to grow, we have been introduced to the very menacing Governor and have learned some of his dark, creepy secrets. We will see the Governor as he appeared in the comic series this June. Zombies are not the only threat to Rick and his band of survivors, the Governor is truly the first human antagonist that the group encounters within the comic series. 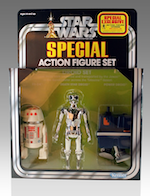 The Governor features 28 points of articulation and includes a kitchen knife, pistol, and alternate mutilated head & right arm. One of those secrets that the Governor kept from everyone would be his daughter, Penny. Nothing is stronger than a father daughter bond, as we see with The Governor and his daughter Penny. Infected early on with the zombie virus, Penny has been cared for and fed by her unconditionally loving father. 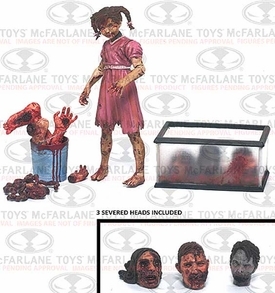 Penny features 12 points of articulation and includes a bucket of fresh body parts (severed leg, severed foot, severed hand, intestines, heart and Ricks severed hand) that the Governor feeds to her. Figure also includes a fish tank with trophy heads collected by her father. 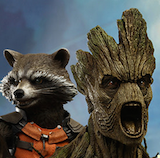 One of the heads can be used as an alternate head for Michonnes Pet Zombie Mike, allowing you to build Michonnes 2nd pet and Mikes best friend, Terry. Who is this mysterious woman who wondered by herself carrying her Katana and of course, Pet Zombies. Michonne is one of our favorite characters of the comic series and we were thrilled that she would be included in the first comic series figures. The second series will now have one of her Pet Zombies, Mike. Its not until Mike, Michonne's boyfriend, is bit by a zombie that Michonne discovers the true nature of the zombie epidemic. A bite is a death sentence! Michonne quickly realizes that Zombies dont attack other Zombies and uses Mike as camouflage and protection against the hordes of the undead awaiting her in this new world. 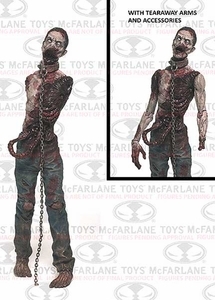 Michonnes Pet Zombie features 17 points of articulation and includes a neck collar & chain, tear off arms & jaw, and push in/ pull out intestines. The last of the Walking Dead Comic Series 2 figures is Glenn in Full Riot Gear. 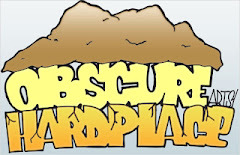 In key issues of the comic series, Rick and the group will find the Prison, where they believe it will be their "Safe Haven". This is where they will meet their biggest threat and he is not a "Walker", the Governor. To clear out the prison, the group will find Zombie Guards wearing the riot gear that will come in very handy. Glenn, an original Atlanta survivor, has become crucial to the survival of Ricks group due to his ability and agility at getting in-and-out of zombie-infested areas in order to search for food and supplies. 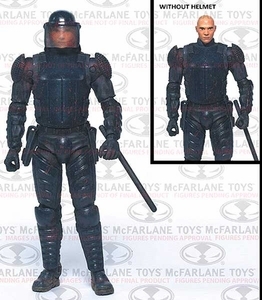 Glenn, in full riot gear, features 28 points of articulation and is equipped with two pistols, riot shield, baton, gas can, and removable helmet with flip-up visor. Does the Governor also come with removeable junk?